Power Star Pawan Kalyan is getting ready to show his speed. It is already a known fact that Pawan Kalyan is currently busy shooting for his forthcoming film Katamarayudu. The makers are reportedly planning to unveil the most anticipated first look as a treat to Powerstar fans. There is criticism on Pawan that he does films in a leisure manner and he plans shooting whenever he is comfortable. Even his fans oppose him in this aspect. They ask him to do films continuously. He is presently doing Katama Rayudu and he is getting ready for Trivikram film, another film AM Ratnam production. He has locked the date for Katama Rayudu release also.Speculations are abuzz that ‘Katamarayudu’ will be releasing on May 31st, with a gap of four weeks from the release of ‘Baahubali: The Conclusion’. However, The latest update makes it look utterly baseless. 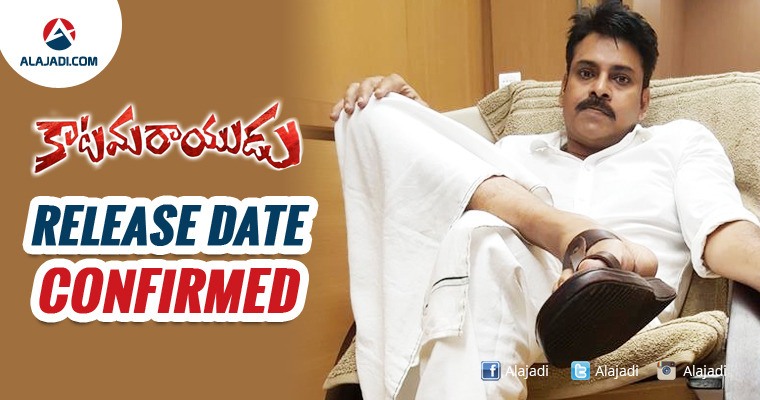 As per sources close to the unit, ‘Katamarayudu’ would be releasing on Telugu New Year Ugadi, that’s on March 27th. A healthy gap of 1 month is beneficial for both the biggies. Summer season will start with Pawan’s film. On the other hand Katama Rayudu shooting will be wrapped up by January. Shruthi Hasan is playing the female lead in this film. The characters of Pawan brothers in the movie will have huge importance in the film. Kishore Kumar Pardasani is directing the movie while Akula Shiva provided the script. Prasad Murella is the cinematographer and music is being composed by Anup Rubens. Touted to be an action based love story, the film is being produced by Sharrath Marar under the Northstar Entertainment Banner. Katamarayudu is the remake of Tamil hit Veeram. Powerstar will sport powerful factionist for the first time based in Rayalaseema region. No Audio Launch for Katamarayudu?